Okay, when I read The Ride Delegate I was pretty sure that I was going to dislike the book. I loved it. When I saw Annie Salisbury had written a fictional mystery, I was sure the combination of mystery novel and what I was sure going to be a young female, like her, was going to not get me excited. Would Salisbury get me again? 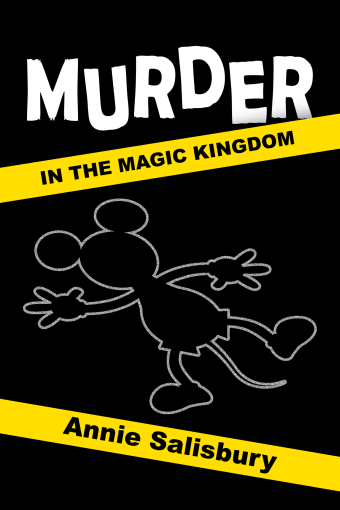 Murder in the Magic Kingdom by Annie Salisbury follows Fantasyland Coordinator Josh. Josh moved with his girlfriend Jill to Orlando after graduating from college as she entered the Disney College Program. Eventually Josh got cast by Disney, but Josh and Jill grew apart. Years later, Josh finds himself still in Orlando, still working for Disney and still without a girlfriend. One day he goes home sick and when he wakes up the next day and discovers that he has been implicated in the death of another Cast Member within the Magic Kingdom. Believing that he was falsely accused, but not remembering his sick day, Josh is forced to investigate the murder and clear himself before it is reported to the police. 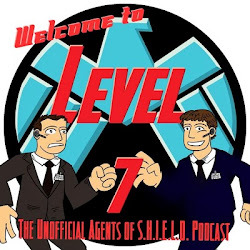 Josh unravels a complicated plot that includes Imagineering, the Disney Parks and his own past. I generally do not read fiction unless it is Disney or comic related. And mysteries are really not my style. But I really enjoyed Murder in the Magic Kingdom. I planned to read the book in the margins of my days, planning to read it over weeks. Instead I found myself racing through it as I needed to know what happened to Josh next. And I read it in a few days. I was surprised how well Salisbury wrote a guy, and a male who does not seem to be as enthusiastic about Disney Parks as Salisbury is in real life. But for being a fictional figure, Josh has problems that seem real with his concerns about relationships, bills and his professional future. The setting truly felt familiar being in Disney but new as I read about back doors at Disney Hollywood Studios seen through Josh's eyes. I am in a current pattern of not reading fiction in physical books. So I would reach first for the Kindle version, priced really nicely at $4.99. It is well worth the price for a book that would be an enjoyable summer/vacation read. Honestly, it may be the first suggestion I have for summer 2015. Disney fans will really enjoy the read due to the setting and the backstage views of the park. The book though featuring a murder is appropriate for a tween and older. And it is written in a clear way that all readers should be able to grasp. Annie Salisbury has done it again. I found Murder in the Magic Kingdom to be an engaging read that I could not put down. And this was a great surprise because I do not typically enjoy mysteries. I think a well written character with real world problems and a Disney setting helped make this a strong recommendation for me. Now I plan to start my review for any new Salisbury book with how much I planned to love it!